Pulling an all-nighter for school, work or an important project is never fun. That being said, if you take the time and effort to prepare an ideal work space, minimize your distractions, and stay physically and mentally stimulated, you can maximize your productivity level without making your pre-dawn tasks too miserable or exhausting. 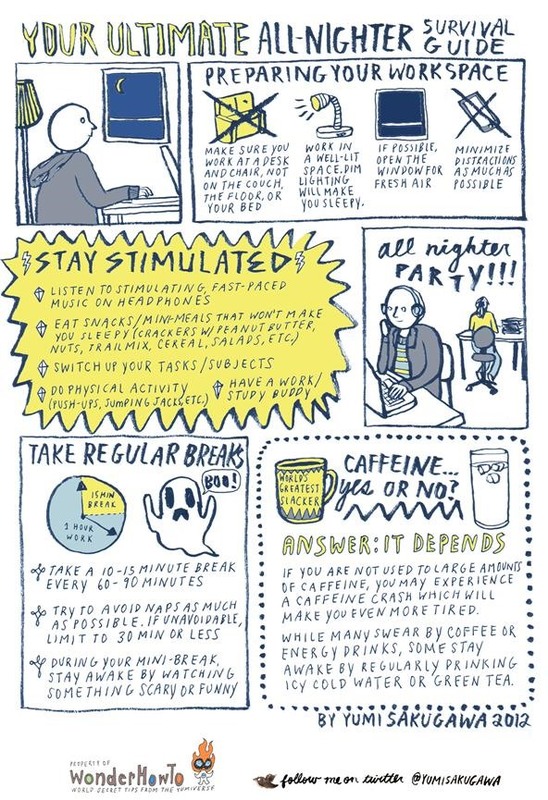 Got your own all-nighter tips? Share with us in the comments below.